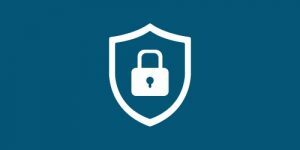 The VPN Lab - VPN Guides - Safety Guides - Is Private Tunnel Safe? Private Tunnel is a VPN service provider launched by the same team that made OpenVPN back in 2002. 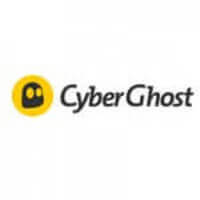 It was developed by OpenVPN Technologies Inc, which was founded to support the award-winning project. Naturally, we had high expectations from this VPN provider, given its impressive background. Private Tunnel is more of an online privacy initiative than your traditional VPN. 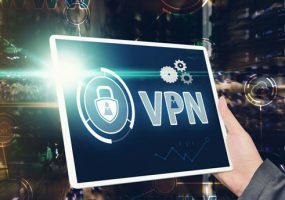 The OpenVPN team implemented cutting-edge software into this VPN, paired with the most modern technologies available and some unique features. Our today’s blog post will focus on providing a detailed report regarding the overall security of Private Tunnel, exploring all the features designed to provide a completely safe online experience. Keep on reading to see how it faired against our battery of tests. Private Tunnel is not a log-free VPN service. Although it doesn’t record the most notorious of logs, we would still prefer it recorded none at all. This is especially true since it’s located in the US, which is well-known for its restrictive data-monitoring policies. The US, however, still doesn’t have any mandatory data retention laws, so Private Tunnel doesn’t have to record anything. The fact that it does is a serious red flag. You can browse Private Tunnel’s website anonymously but if you decide to subscribe, it’ll log your name, email address, phone number, and payment details. The company claims that your private and public information will not be sold, transferred, exchanged or given to any third party for any reason whatsoever without your explicit consent. This is somewhat comforting, but it’s always better not to be forced to give personal info to companies in the first place. Bottom line, Private Tunnel is somewhere in the middle when it comes to logging since it doesn’t record your sessions, IP addresses, and timestamps, but it does store some data that can be used to positively identify you as an individual. Private Tunnel is very cryptic when it comes to the encryption used to protect your data from prying eyes. The FAQ on the website is rather poor and vague, giving generic answers to some of the most important questions regarding the service. After contacting user support, we found out that Private Tunnel uses AES-128 cipher, which feels kind of dated compared to the more secure AES-256. The option it has chosen will provide a faster browsing and streaming experience but at the cost of your overall safety, which is a compromise we wouldn’t be willing to make. Private Tunnel allows P2P file sharing and doesn’t ban torrenting per se. The team, however, does warn against downloading illegal content and will actively pursue and ban users who are caught committing copyright infringements. So, this is definitely not the right VPN service if you’re looking to torrent the latest movies, TV shows, games, and similar protected content. Our testing phase didn’t reveal any DNS or IP leaks, which would be excellent news if not for all the shortcomings we just mentioned. Want to find out even more about Private Tunnel? Make sure to check out our Private Tunnel Review for detailed information about this VPN provider.